Buddy Wright was born in 1947 in Ohio. He enlisted in the U.S. Army on January 16, 1964, and completed basic training at Fort Knox, Kentucky, in April 1964. Pvt Wright next attended infantry training at Fort Riley, Kansas, from April to July 1964, followed by service as a machine gunner with Company A, 1st Battalion, 16th Infantry Regiment of the 1st Infantry Division at Fort Riley from July 1964 to March 1965. His next assignment was as a machine gunner, team leader, and auto rifleman with Company B and then C, 1st Battalion, 13th Infantry Regiment of the 8th Infantry Division at Baumholder, West Germany, from March 1965 to February 1968, and then as an auto rifleman and team leader with Company D, 1st Battalion, 22nd Infantry Regiment of the 4th Infantry Division in South Vietnam from April 1968 until he was captured and taken as a Prisoner of War by the Viet Cong on September 22, 1968. After 6 days in captivity, SSG Wright managed to escape from his captors on September 28, 1968, and made it to American forces on October 6, 1968. He returned to his unit for most of October 1968, and then was sent back to the United States where he was briefly hospitalized at Fort Knox and then took leave from October 1968 to February 1969. His next assignment was as a Basic Combat Training tester at Fort Leonard Wood, Missouri, from February 1969 to March 1970, followed by service as an Operations and Training NCO with the U.S. Army Garrison at Camp McCoy, Wisconsin, from April to September 1970. 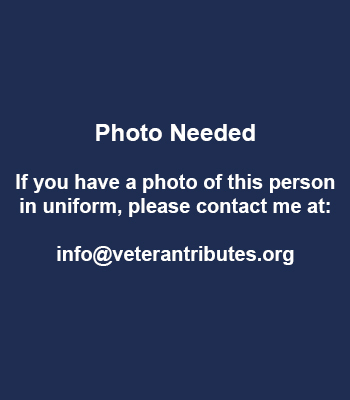 His final assignment was as a Basic Combat Training tester back at Fort Leonard Wood from September 1970 until his honorable discharge from the Army on April 2, 1971. 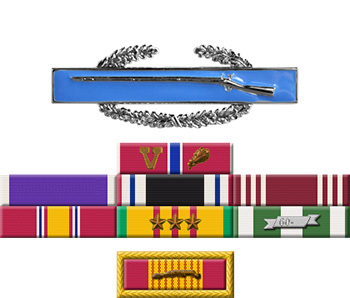 For heroism in connection with military operations against an armed hostile force in the Republic of Vietnam. Sergeant Wright distinguished himself while serving as a Team Leader with Company D, 1st Battalion, 22d Infantry, 4th Infantry Division. On 25 April 1968, Sergeant Wright's company was in a defensive perimeter on Chu Moor Hill, west of Kontum City surrounded by an estimated battalion of North Vietnamese Regulars. Sergeant Wright, a member of a sweep platoon moved forward of the perimeter to clear an area in order to enlarge their perimeter. As the unit advanced it came under heavy sniper fire. Sergeant Wright, shoe was the point man, saw that his squad leader was in trouble so he quickly made his way to his leader. He continuously exposed himself to enemy fire, with complete disregard for his own safety, so that he could throw grenades at the attacking insurgents. His brave actions in the face of danger were inspiring to the rest of the company and undoubtedly saved numerous lives. Sergeant Wright's personal bravery, professional skill, and exemplary devotion to duty are in keeping with the highest traditions of the military service and reflect great credit upon himself, his unit and the United States Army.